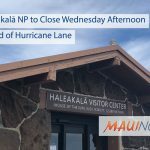 All public and charter schools and Hawaii State Department of Education (HIDOE) offices on Hawaii Island and in Maui County will be closed Wednesday, Aug. 22, until further notice, in anticipation of dangerous storm conditions from Hurricane Lane. 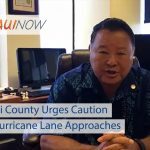 With emergency officials upgrading the severity of the storm’s impact to Hawaii Island and Maui County to a Hurricane Warning, county civil defense agencies urged HIDOE to close campuses as a safety precaution. Also effective Wednesday, all after-school activities and programs including interscholastic athletic events and After-School Plus (A+) Programs are canceled statewide for the remainder of the week. This will allow partner emergency agencies and organizations to stage evacuation shelters at designated schools. 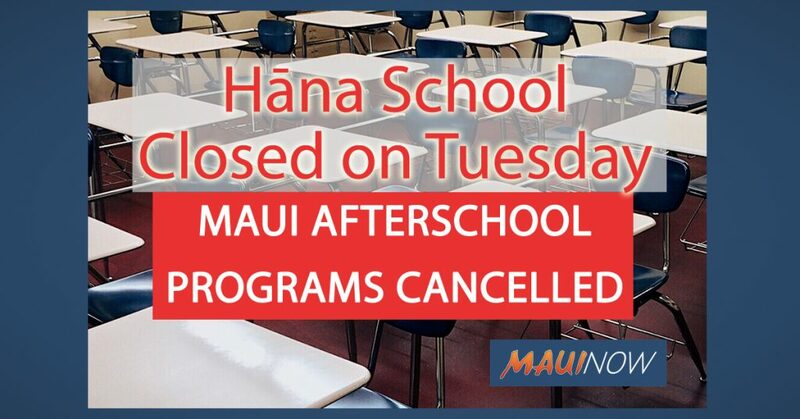 All school-related interisland travel this week is canceled as well. Parents are encouraged to work with their child’s school to ensure they have the most up-to-date contact information for their household. 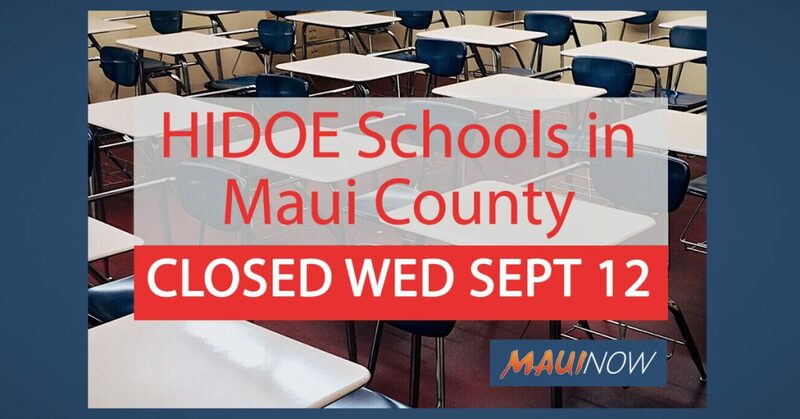 Updates on school closures will be posted on HIDOE’s website and on social media — Twitter and Facebook, @HIDOE808. 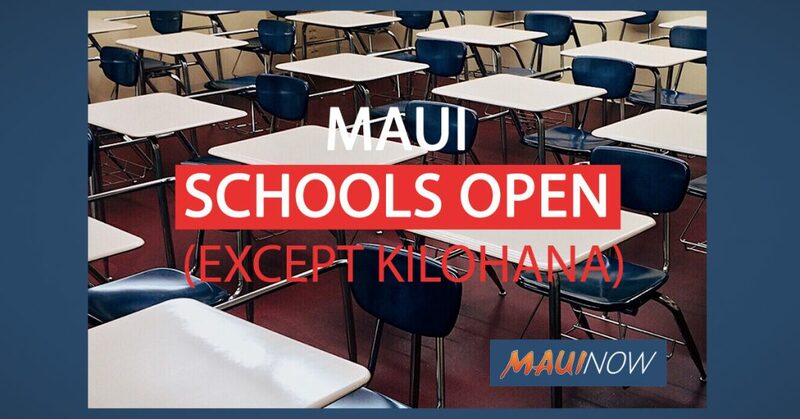 Charter Schools: ***NOTE: Families of students in charter schools are asked to contact their schools directly to learn about closures, or visit the charter schools’ website.